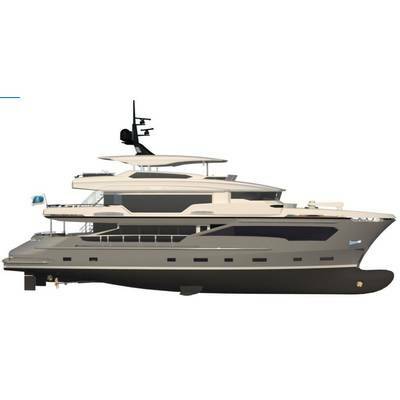 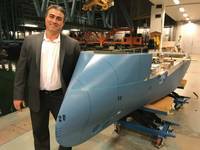 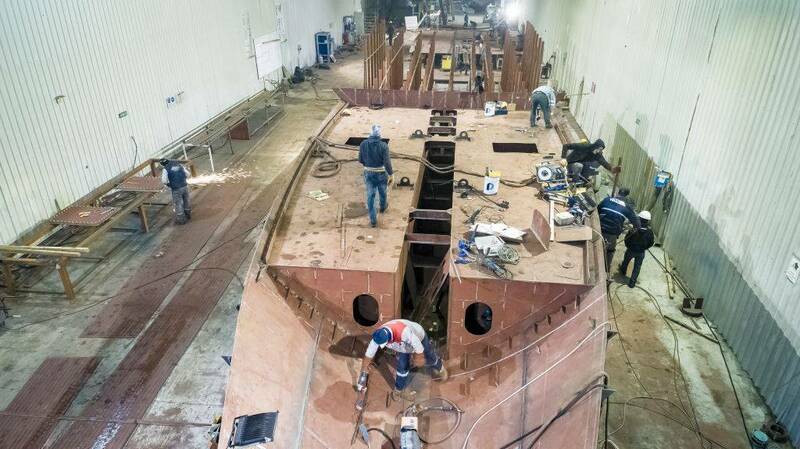 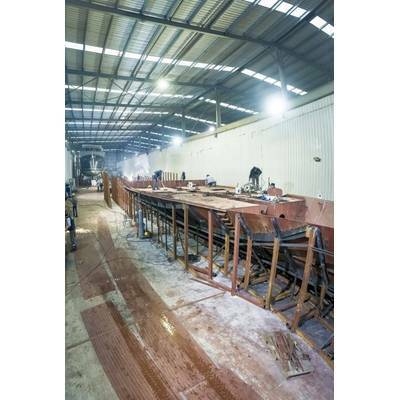 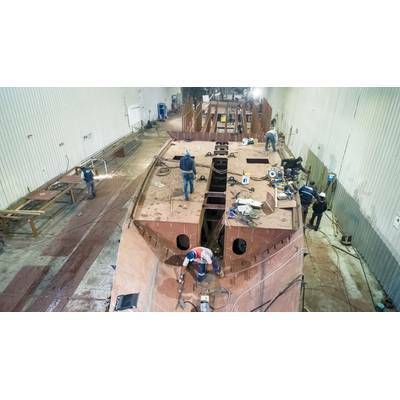 Construction of hull No 2 of AvA Yachts’ Kando series is now well underway. 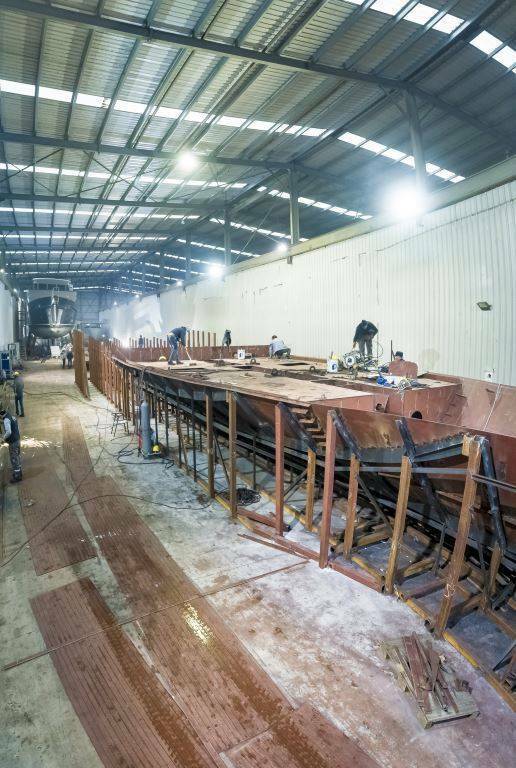 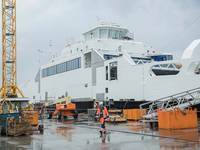 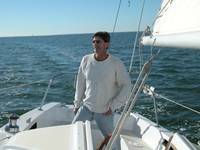 The keel was laid in early January 2019 and construction of the steel hull is advancing. 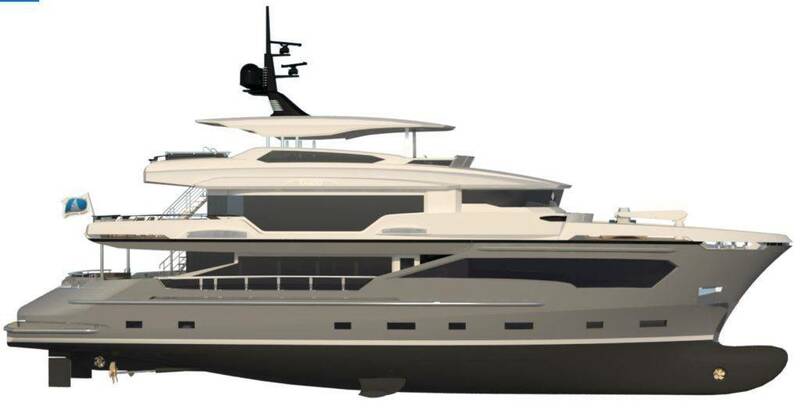 Kando #2 is a full displacement steel and aluminium yacht with a bulbous bow. 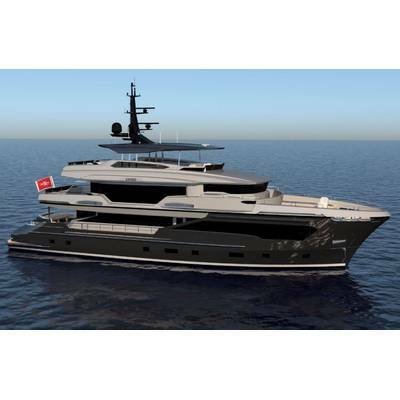 Powered by twin Volvo-Penta 650hp engines, at an economical speed of 10 knots a range of 6,400nm is achieved. 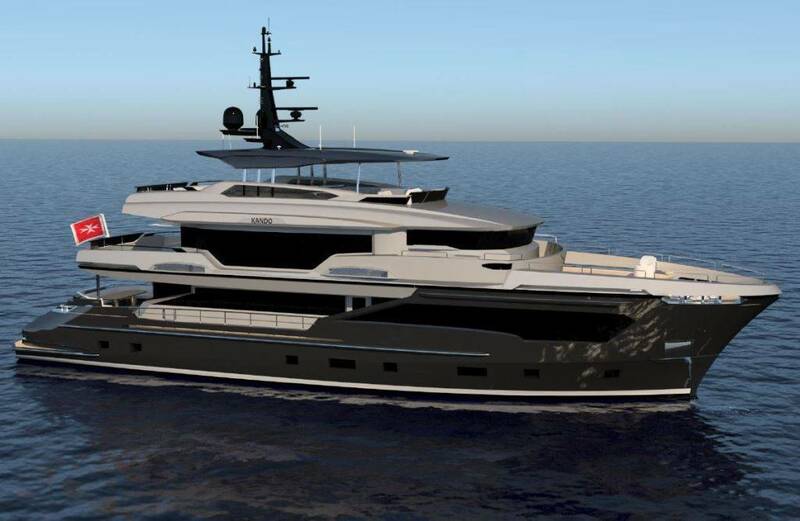 Ordered by NBA Basketball Star Tony Parker, this Kando 110 offers a huge interior volume of 340 GT and will be a six-cabin model run by a six-person crew with accommodations and living areas spread over four decks and a light, contemporary interior décor theme chosen by Mr Parker and his wife.